I’m not sure we can say the word community enough here at Vend Raleigh. Vend Raleigh is a unique example of a Raleigh small business community. We partner, cross promote, educate and celebrate one another. One way that we make Vend Raleigh just a little smaller and a lot more relevant is our sub-groups, our Facebook groups that are specific to certain types of work. 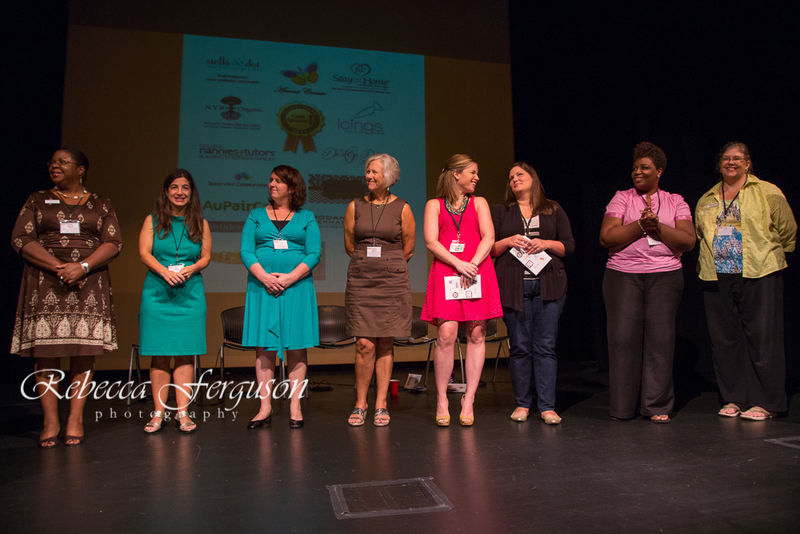 The women that lead these groups, lead out of pure passion for the mission of Vend Raleigh. They are inspired by you and your work. I couldn’t run Vend without them. Please meet the community leaders of our Facebook groups. 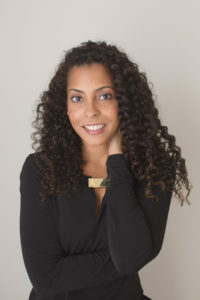 Tiffani Campbell is a mom of three, Raleigh native and owner of Raleigh Moms Blog – an online and offline community of women raising kids in the Triangle area. Raleigh Moms Blog is a collaborative resource site written by and for local moms with daily posts on things to do around town, ways to get involved in the community, parenting solutions, personal essays from local moms, local business spotlights, giveaways and more. Tiffani has been a part of the Vend Raleigh community since 2015 and is the leader of the Vend Raleigh New Media Facebook Group. Vision for New Media Group: Tiffani believes that New Media is a forum where Mompreneurs can feel encouraged & supported in the ever-changing world of social media. Her vision for the group is to create a place where we can search for creative ways to mold Twitter, Instagram, Facebook, Pinterest, Email Marketing, etc. into each of our businesses. Building a community where we remain proficient & knowledgeable in the ins and outs of social media is important to Tiffani as a leader in the New Media Group. Tiffani shares that no matter what your business or blog is the New Media group is the perfect environment where you can engage and collaborate with other members while building your online community. 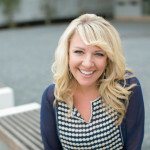 Connect with Tiffani a Vend Raleigh Directory Member at Raleigh Moms Blog on Facebook, Twitter and Instagram. You can also follow her Mompreneur journey over at Instagram @All_Inspired_Mom. 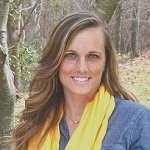 Hunter Forstchen is a mom of two and the creator of Katiebug Bows, LLC. 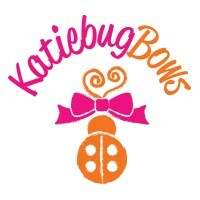 Katiebug Bows specializes in handmade hair bows, headbands, ponytail streamers and more. Her products are now available through two online stores and four physical locations in North Carolina. She also works with local schools to provide hair accessories for their spirit wear needs! Hunter has been an active participant with Vend Raleigh for several years. In addition to being a committee member for the Vend Raleigh Sip and Shop events, she has helped others figure out the confusing logistics of turning their hobbies in to businesses, too! 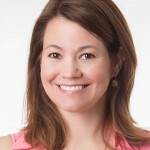 Now she is the leader of the Vend Raleigh Retailers Group on Facebook. Find more of Hunter (A Vend Raleigh Directory Member) and KatieBug Bows, LLC on Etsy, Facebook, Rita’s Décor and More in Fuquay-Varina, Team Attraction Gymnastics in Apex, Triumph Gymnastics in Cary, and Village Marketplace Pottery in Seagrove. 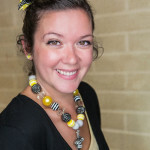 Michelle Bertoncino is a mom of 3, and the owner and creator of everything in her Etsy shop, Five Bees. Five Bees carries a wide range of handmade items for babies and kids from soft toys and dolls to room art and mobiles. On top of selling items in her Etsy Shop, she also sells at several local shows and has items in shops in Apex and Cary, NC. Along with her handmade business Michelle also owns Stay at Home Rock Star™, an online retail shop that sells t-shirts and gear for parents that Rock! 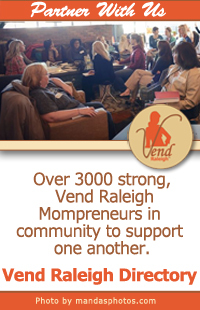 Michelle has been an active member of Vend Raleigh from the start. She helped organize the first two Vend Raleigh Illuminate Conferences, and is the coordinator of the Vend Raleigh Sip and Shop events. Vision for the Sip and Shops: Michelle is working hard to make Vend Raleigh’s Sip and Shop one of the Premier Holiday Shopping events in the Triangle. Connect with Michelle (A Vend Raleigh Directory Member) more on Facebook, Instagram, Twitter and Pinterest. Traci Huffman is married to her high school sweetheart and a mom to active twin 5-year old girls and their rescued furry kids Barkley and Nellie. She is a full time photographer at Traci Huffman Photography and loves Jesus with all her heart. While most days there is a lot on Traci’s plate, she loves her busy life and is so thankful to be able to do what she loves. She is blessed to spend her time in one of two places: photographing, joy-filled couples and families and most importantly being a wife and mom. “I truly have the best two jobs in the world and I couldn’t dream of a better way to spend my time.” She has a passion for capturing new beginnings of love whether that’s a proposal, engagement, wedding, maternity, or birth. There is nothing like witnessing and documenting the most important moments in people’s lives, and she is so thankful God has blessed her with the ability to do so. Traci’s mission is to capture moments in time that will one day serve as reminders of how much love is shared between those she photographs. 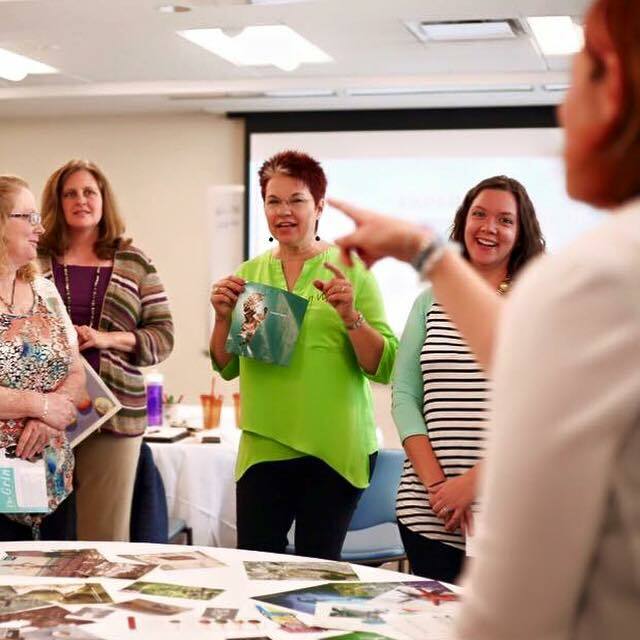 Vision for the Professional Photography Group: When Traci attended her first Vend Raleigh event she had no idea what was in store and the paths that one SEO event would lead to. 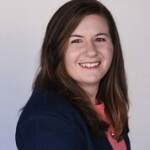 She has learned so much from being a part of the Vend Raleigh Business Directory, attending the events, building relationships, and taking advantage of the wealth of knowledge the Vend Raleigh Mompreneurs offer. It is an honor to lead the Photographers group. Traci’s vision for the Vend Raleigh Professional Photographers group is to create a community of Mompreneurs in the same creative business to be able to come together for support, advice, and sharing amongst all of the talented photographers. Stay tuned for future events and opportunities. 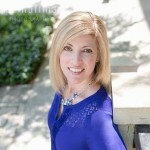 Connect more with Traci (A Vend Raleigh Directory Member) on her website, Facebook, Pinterest, Instagram, and Twitter. Abbi Tenaglia is mom to one beautiful girl and a beagle-cocker spaniel mix. She founded and runs a local nonprofit called Transforming Hope Ministries, an organization dedicated to ending human trafficking in the Triangle since 2010 through education, prevention, and restoration. Abbi speaks regularly on the topic of human trafficking by sharing her story of exploitation and healing. She trains others to understand and respond to human trafficking in America and dreams of a day when the commercial exploitation of human beings no longer exists. She also shares her insight, lessons learned, and general tips via her blog Embracing Joy, Experiencing Freedom and on her website. In 2015, Abbi also put her 12 years of administrative and bookkeeping skills to use through her own for-profit business as a Virtual Assistant, offering support to local small businesses and classes on understanding and utilizing Quickbooks effectively for business. Vision for Nonprofit Leaders Group: Abbi wants to see that, in the Nonprofit Leader Group, we encourage each other to not lose heart, that we can be a safe place to come to, a resource when you need new ideas or services for a client, an avenue for training to enhance your skills and contributions to your organization, and a group that sharpens and strengthens each other because we get it. Connect more with Abbi via Facebook and Pinterest. To learn more about Transforming Hope Ministries, follow them on Facebook, Twitter and Instagram. In 2015 Sarah felt called to lead girls become strong in heart and body. She created a teen mentorship program called “Inside-Out Strong” where she guides teen girls to learn who they are, strengthen who they are, inside and out, so they are ready to lead and serve others. Sarah is thankful for the opportunities God has given her to lead others to recognize their gifts, passions and strengths, but the leadership she loves most is being a mom to 4 beautiful children (Belle – 14, Sam – 12, Andrew – 8, Mia – 6) and loving her family and husband as deeply as she can (Check out her awesome husband, Mike at courtandclassroom.com). Learn more about Sarah and her interests at sarahschall.net. Kristen Bagwell is a mom of two and as she describes it, a “recovering corporate professional.” As her corporate career became less fulfilling, Kristen found herself looking for an opportunity to fulfill both personal and professional goals in a non-workplace environment. A blogger at the time, Kristen found Vend Raleigh, and has been an active participant for several years. During that time, she started her own “Plan B” business and is now able to focus more fully on growing her team. Since her Plan B is a Direct Sales business, Kristen was eager to learn from others, and to bring a sense of community to our Vend Raleigh Direct Sales group on Facebook. Vision for the Direct Sales Group: The recurring theme in many of the group leaders’ visions is community; Kristen’s vision is similar. 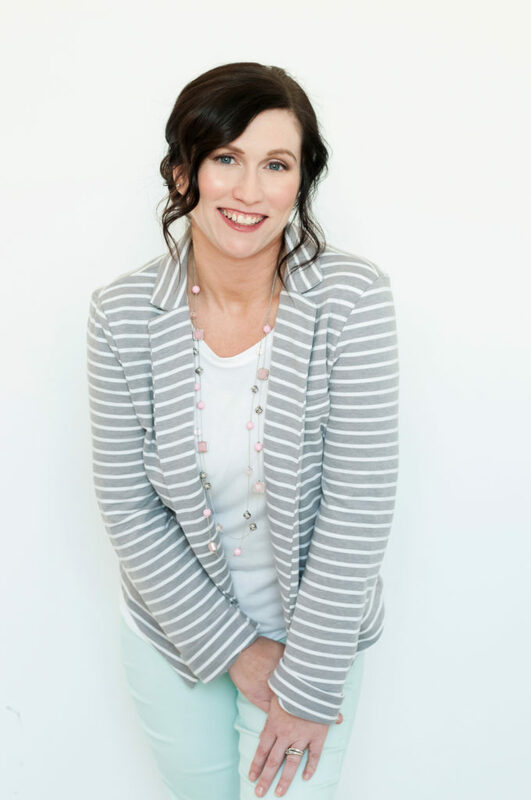 Through this group Kristen hopes to encourage Direct Sales professionals to share experiences, advice, tips and encouragement, whether that is online or via in-person meetings and classes. The DS profession has many stereotypes associated with it as well as unique challenges, and Kristen wants these small business owners to have a forum to discuss those things, and to grow personally and professionally. 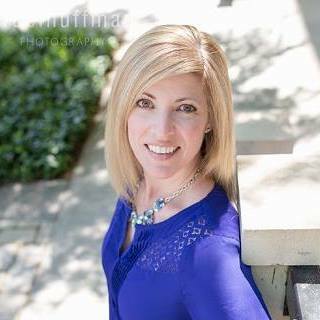 Learn more about Kristen (A Vend Raleigh Directory Member) and Rodan + Fields skincare on her business website & Facebook page, as well as Twitter, Instagram and Periscope (kristenRbagwell). You can also connect via her personal website and Facebook page. We invite you to join the group that suits your business best. Some of you may find yourselves in two groups, and that’s okay. Thank you group leaders for all you do- all the checking in, approving new members, keeping spam out, keeping the group atmosphere positive, sharing the microphone and your creative insight for events for your mompreneurs. I’m very happy to call you my business partners! 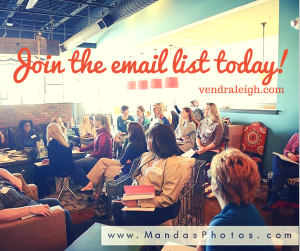 Join the Vend Raleigh email list for future events.